You need to get better steering because whenever I turn I go up into the wall. 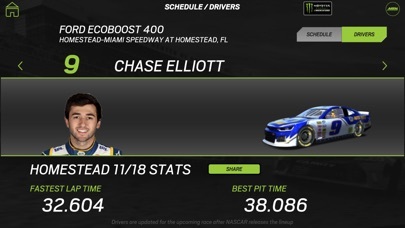 Paid for April 2019 for Bristol race. No sound no matter what I tried (on iphone). Cant count on it for next race, dont know where to go for tech support. Do not recommend. Audio is very good. Still trying to get used of the computerized video. Need to be able to adjust delay in driver radio because it does not sync up with this or radio or tv. The only way to truly follow a team during a race. But this app lacks basic functions and customization, such as: Having the app remember what data fields you want shown and in what order. For instance, I like to have time behind leader and then lap time show. But I have to manually change the order after I start / restart app. 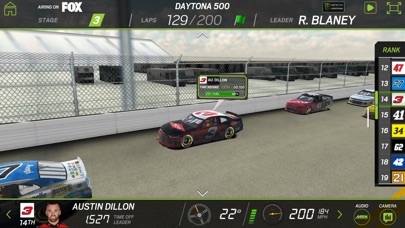 Paint schemes don’t update correctly each week. 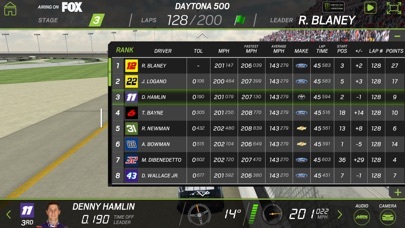 Not talking about just backmarkers.. teams like Penske & Hendricks shown in wrong Liverly for that week. 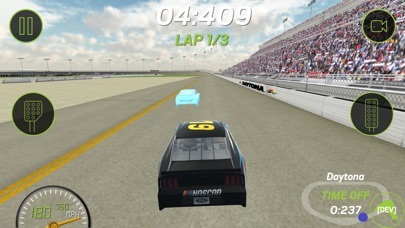 Finally, this app is only available for the cup race. Not available during practice or qualifying. 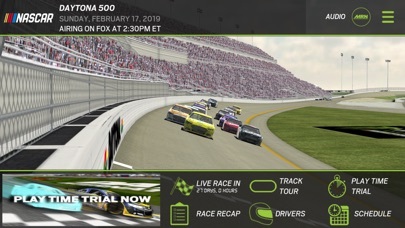 Also not available for xfinity or truck racing.